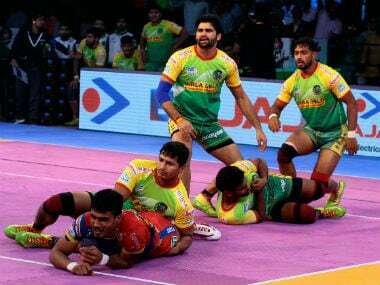 Defending champions Patna Pirates continue their home leg and face a visit from a red-hot U Mumba team, who have won four of their last five games in VIVO Pro Kabaddi Season 6 at the Patliputra Sports Complex in Patna on Saturday. Patna Pirates scored a big win over Jaipur Pink Panthers in the opening match of their home leg. The fans were relentless in their support of the team as kabaddi returned to Patna for the first time since 2016. The reigning champions will look to feed off the home crowd and win their second game on the trot when they battle U Mumba. 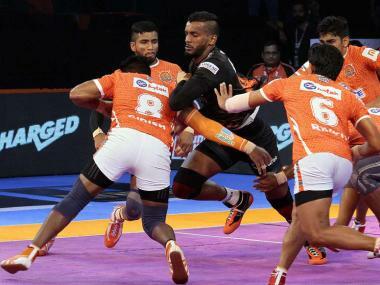 U Mumba have looked the team to beat in Season 6 having accumulated 24 points in six games. Not only are they winning most of their fixtures, but they are doing so in style, reflected by their massive score difference of 65. U Mumba will look to continue their form and close the gap on Zone A table-toppers and arch-rivals Puneri Paltan. Pardeep Narwal’s never-ending list of record-breaking performances continued when his team took on Jaipur Pink Panthers, as the reigning two-time MVP went past Rahul Chaudhari’s mark of 32 Super 10s with the 33rd of his career in front of his home crowd. More importantly, he helped his team secure an eleven-point win to kickstart the Patna leg on the right note. Patna Pirates will face their toughest test so far when they take on U Mumba, who have lost only one game this campaign. 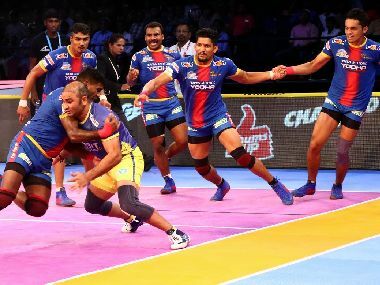 At least one of these two teams has featured in every final in the history of VIVO Pro Kabaddi, showcasing the unmatched success they have enjoyed. Patna Pirates will hope the outcome of this match will mirror the result of the final of VIVO Pro Kabaddi Season 3, where Patna Pirates beat U Mumba and secured the first of their three titles. 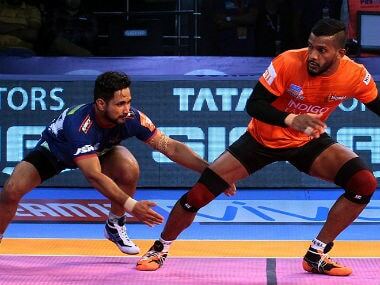 U Mumba coach Gholamreza Mahmoud Mazandarani has taken his side to four wins, one tie and only a solitary defeat in their opening six games in VIVO Pro Kabaddi Season 6. Not only are they winning on a consistent basis, but have also outscored their opponents 175-110 in their four victories, averaging a whopping +16.25 points in wins. Rookie raider Siddharth Desai in offence and captain Fazel Atrachali in defence, have been monumental for U Mumba and the team will rely on their in-form stalwarts to lead them to a fifth win this campaign when they visit Patna to take on the defending champions. Manjeet’s 10 points against Jaipur Pink Panthers were crucial in his team’s 41-30 win. Patna Pirates will rely on their young raider to emulate that performance when they take on an in-form U Mumba team. U Mumba raider Siddharth Desai is enjoying the rookie season of all rookie seasons. He leads the team with 83 raid points in just six games at an average of 13.83, while also clocking up a season-high five Super 10s for the campaign. U Mumba will rely on Desai to deliver another huge performance when his team take on the three-time champions.